Atlus' Shin Megami Tensei: Strange Journey features a password system that lets players summon special demons via secret codes, like the two they've passed on to Kotaku to share with our readers, including one for password-exclusive Alciel, the Black Sun. 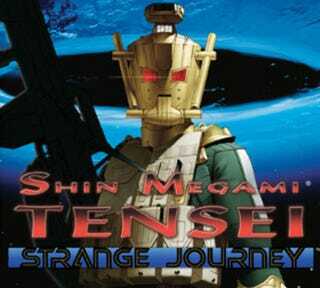 The latest Shin Megami Tensei DS game to hit North America features a sophisticated demon password system, which utilizes special codes to unlock powerful demons to join you on your Strange Journey. I suppose you could consider these codes free downloadable content that's already on the disc, though there's no disc, and technically no real download either. Here's the official Atlus description of the two special demons, followed by the passwords needed to unlock them. The passwords are case sensitive, so be sure not to have any cases laying about when you enter them.